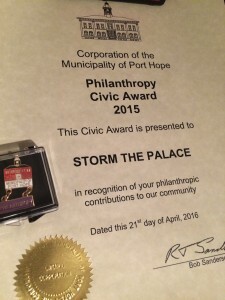 On Thursday night Storm The Palace very graciously accepted a 2015 Port Hope Civics Award for Philanthropy at Port Hope’s Cameco Capital Theatre. The band were being recognized for their time, effort and financial contributions to several local charitable organizations. 2015 saw the band supporting 5 Counties Children’s Services, Greenwood Coalition, YMCA Strong Kids, Northumberland Humane Society, SlideStreet Fundraising and Northumberland Mall Giving Tree. Sadly this was also the day the world lost one of the last remaining greats of the 80’s, the uncompromising, always inventive musician’s musician PRINCE. Everyone knows just how incredible Prince was as a songwriter and performer. And as a performer he was the last in a class all of his own, being predeceased by the likes of Michael Jackson and James Brown. He was absolutely captivating. But little is being said about how much Prince gave to his local community, and the global community as a whole. Organizations supporting victims of Abuse, AIDS & HIV, At Risk/Disadvantaged Youth, Cancer charities, Creative Arts and Education, Hunger relief, Treatment of Animals and Social Justice. “The songs that we already play by Prince are amongst the most joyous ones we perform. They are fun and challenging to play and they always get a great response from every audience we play for”, says Christian. 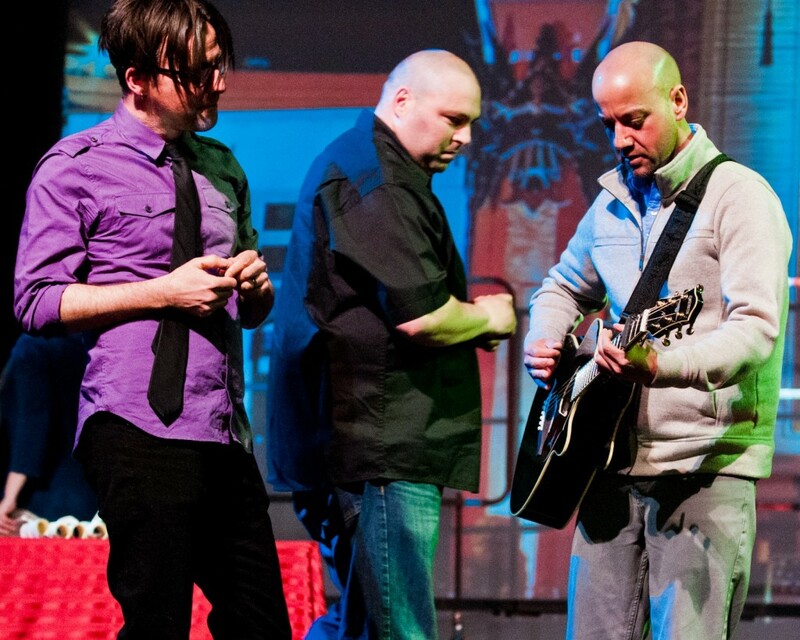 When Storm The Palace took to the stage they did an impromptu performance of Prince’s PURPLE RAIN. Quickly the moment turned into a theatre-wide singalong with everyone belting out the lyrics to one of the greatest ballads of all time. Thank you to David Goodfellow, also a winner of a Civic Award that Evening for his tireless work capturing so many great moments on film that happen in the Port Hope Area, for the photos.